I am not familiar with this series, and would LOVE to look at them, and since you recommend them, I know I would add them to my students’ piano experiences with me. Thank you for all you do to help piano teachers like me! These sound great! I have an adult student who just loves theory; I think they would be perfect for him! Love the new look! I usually use Theory Time but would love to see these. They might be lovely for some of my students. I have not seen this one before and would like to review it. Thank u! I’m always interested in seeing something new. It would be wonderful to have these in my library and use with my students. Have a wonderful day! This looks like a wonderful way to introduce and encourage theory in a studio. I’ve used his sight reading books before, and I love them. I didn’t actually know about his theory books, and I’d love to try them. I’ll have to go check them out some time! Always looking for new resources and this series of books look as if they would be a big asset to my library. I had not heard of these! They look very interesting! I would love to try these books! These would be a fantastic addition to my studio’s library. I would love to experiment with these books. I’ve heard only good things about them. Looks great! I need to check these out! Eager to see what these look like! I would love to have some new theory resources for my students. These look great!! Always open to new theory resources. I’ve tried a variety of theory books for students, some better than others. I haven’t looked at these before though, so would be really interested to give them a go. I think it’s so important to get students interested in music theory from the outset, so anything that encourages that gets the thumbs up from me! I’m returning to piano and theory teaching, after years in the classroom, and currently building up my piano and theory teaching material. I’m really interested in these as I recently enjoyed an inset session given by Paul Harris on sight reading. It’s good to see new material! I’m returning to piano and theory teaching, after years in the classroom, and currently building up my piano and theory teaching material. I’m really interested in these as I recently enjoyed an inset session given by Paul Harris on sight reading. It’s always good to see new material! Thank you for pointing out this theory series – exactly what I have been looking for to eliminate loose or lost photocopies. Thank you for the information you share on your blog. I am always looking for good theory books. This is the first I’ve seen of these theory books — thanks for bringing them to my/our attention! I’ve enjoyed Harris’s teaching material – if they are anything to do by then the quality of these theory books should be excellent! Sounds like great books to have. Would love to win. Very interested in these books. Hope to win them! 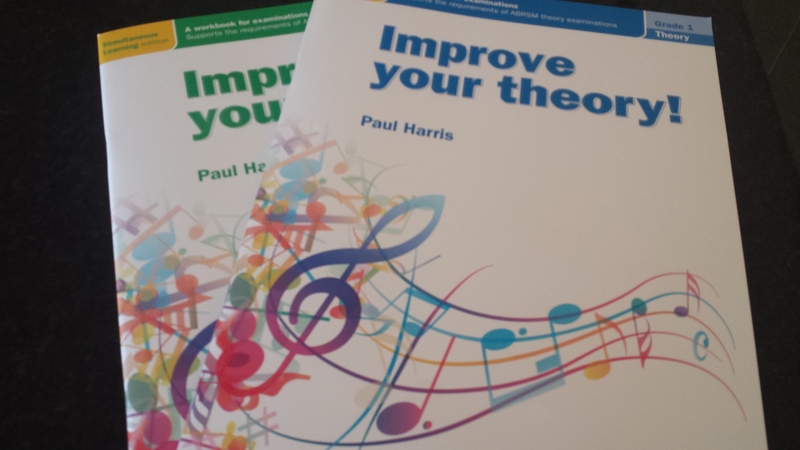 I really like Paul Harris’ books and these would be a fabulous addition to my teaching I’m sure! Music Theory is a subject which I hated in my childhood, but adore after age 16. I would love to have this books! Thank you for possibility! I have not heard of these! Would love to try them out! Sound interesting. My 7 year-old really struggles with theory. Would LOVE to have a copy of these books! This is interesting. I am presently use a different series of music. I felt it is a little simple. This coming year, I plan to teach a theory class for all my students. This may be a good theory book series to have since it is graded. Thanks for noticing me about this series! Thanks for the blog too. This is my first time come to you blog.